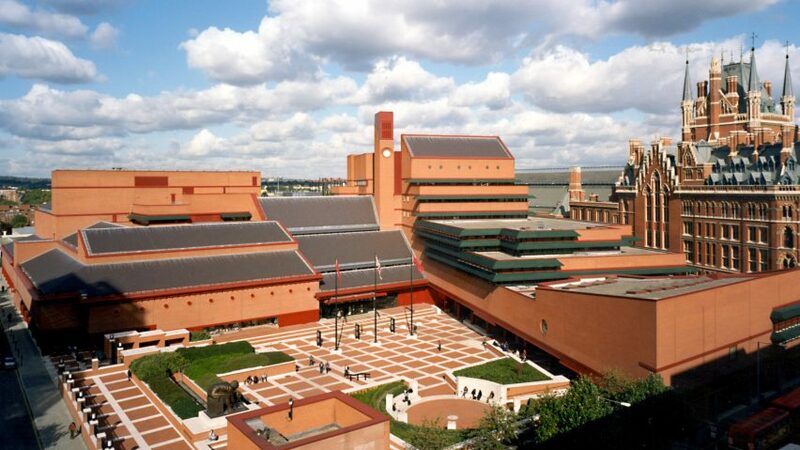 British firm Rogers Stirk Harbour + Partners has been appointed to design a new research centre for the British Library in London. The 9,290-square-metre extension will occupy a 11,000-square-metre site to the north of the Grade I-listed library building, which was designed by Colin St John Wilson in the 1960s and stands beside St Pancras train station. The research centre will provide extra learning and exhibition spaces, as well as creating a new northern entrance to the library and a headquarters for the Alan Turing Institute, the national centre for data science research. RSHP partner Graham Stirk, who is leading the project, said the aim was to give the library "a more open and accessible campus that will maintain its prominence for the future". "We look forward to working as part of a wider team to support and enhance the library's position within this exciting and evolving international centre of knowledge in the heart of London," he said. RSHP is working with Stanhope – the same property developer behind Herzog & de Meuron's Tate Modern Switch House extension – on the British Library project. "We are delighted to have secured such high-calibre partners to help realise our vision of the British Library's London campus as a truly open, creative centre for knowledge," said the British Library's chief executive Roly Keating. "Colin St John Wilson's Grade I-listed building was one of the great public projects of the last century, and this new partnership will help us to preserve and respect its unique character." The extension will also provide commercial office space within the Knowledge Quarter – an area around King's Cross and St Pancras stations that is occupied by cultural institutes including the Wellcome Trust and Francis Crick Institute. London-based RHSP and the firm's founder Richard Rogers ranked at number 56 on the Dezeen Hot List, a guide to the most read-about players in the architecture and design industry over the last year. The firm previously has designed an extension for another major cultural institute in London, having completing a £135 million wing at the British Museum in 2014.